Henderson oversees the development and production of original content for television and film under the company’s overall deal with Warner Brothers Studios. Since joining in 2015, Henderson has successfully led the charge in establishing projects at HBO (Muhammad Ali Doc w. Antoine Fuqua), Netflix (Madam CJ Walker limited series with Octavia Spencer), Showtime (NBA Doc w. Gotham Chopra) and NBC (The Wall w. Chris Hardwick). Prior to joining SpringHill, Henderson was a Brand Director at PepsiCo managing the Mountain Dew brand. He received his BS from Cornell and MBA from the Kellogg School of Management at Northwestern. 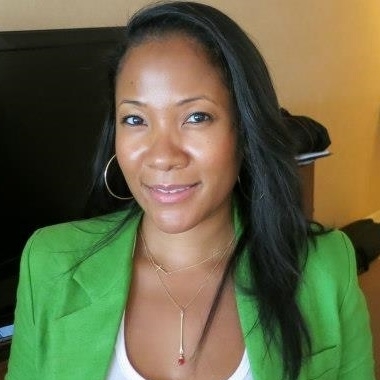 Tilane Jones has worked with award-winning filmmaker Ava DuVernay for ten years. Beginning with the public relations and marketing company The DuVernay Agency as well as DuVernay's production entity Forward Movement and most recently leading grass-roots film distribution collective ARRAY as Vice President. ARRAY has distributed eighteen feature films since 2011 including Andrew Dosunmu's RESTLESS CITY and Haile Gerima's ASHES AND EMBERS. Working as Manager of Production for Forward Movement, Jones has served as a producer for all of the company’s visual product. Philadelphia native, Mike Jackson is a partner at Get Lifted Film Co (GLFC)., a multi-media production company. Jackson began his career at Grey Advertising in New York as the production coordinator responsible for publicity and opening nights of several Broadway shows, including Chicago: The Musical, Jekyll and Hyde, Steel Pier, Candide, Barrymore, The Young Man from Atlanta, The Last Night of Ballyhoo and Always Patsy Cline. Jackson eventually founded Cojax Entertainment Group, an entertainment and management company. CEG produced major events throughout Philly and New York and represented several rising musical acts, including the fastest and the first black male to become an E.G.O.T member, recording artist John Legend. After CEG, he returned to physical production at Banyan Productions (“Trading Spaces”) as a producer for The Learning Channel’s “A Dating Story.” Jackson relocated to LA and launched Tycoon Entertainment, a production and finance company. While at Tycoon, Jackson produced “The Lather Effect”, which starred Peter Facinelli and Connie Britton, “Feel” starring Billy Baldwin and the Jada Pinkett-Smith directorial debut “The Human Contract,” based of her original script, starring Idris Elba — where Will Smith served as Executive Producer of the film. Madeline Di Nonno is the Chief Executive Officer of the Geena Davis Institute on Gender in Media, the only research focused non-profit working within entertainment and media industry to achieve gender equity in children's entertainment. Di Nonno leads the Institute's strategic direction, management, financial and operational activities. Di Nonno brings thirty years of executive leadership in the entertainment, non-profit, digital and consumer packaged goods industries. Di Nonno is an Executive Producer on the upcoming feature film This Changes Everything. Previously, Di Nonno served as President and CEO of On The Scene Productions, a leader in streaming content creation and distribution. Di Nonno lead the company’s new business development and streaming platforms for the entertainment, healthcare, and consumer products clients such as Nike, Gatorade, Iconix, and PepsiCo. Prior to On The Scene, Di Nonno served in executive positions for Anchor Bay Entertainment/Starz Media and Echo Bridge Home Entertainment where she led global brand marketing, franchise development, acquisitions, digital media initiatives for home entertainment and limited theatrical releases in North America, United Kingdom and Australia. As Executive Vice President and GM for Nielsen EDI a leading research provider of Theatrical distribution measurement and information, Di Nonno drove new digital product offerings, new business development and theatrical distribution and exhibition client management. Previously, Di Nonno served as Senior Vice President, Marketing Alliances and Digital media at the Hallmark Channel, having launched the cable channel and established marketing, digital media, e-commerce, and corporate alliance initiatives. Di Nonno developed revenue-generating, integrated marketing programs with companies such as Johnson & Johnson, Fuji, Mail Boxes Etc., Universal Pictures, Target, Sony Pictures, Chrysler, and Baskin Robbins. Di Nonno pioneered the Channel’s digital media platforms. Di Nonno served eight years at Universal Studios Home Video as Vice President, Strategic Marketing where she established the company’s first Digital platforms and marketing campaigns. Di Nonno supervised marketing campaigns for all theatrical, direct-to-video and library releases and spearheaded Universal’s launch into DVD and interactive media. Di Nonno is an established speaker at global conferences, corporations, academic institutions, and film festivals such as AdWeek, Cannes Lion, CinemaCon, CES, The White House, The Department of State, UNESCO, the United Nations. Di Nonno has been featured in media outlets such as The New York Times, FOX News, Fast Company, Variety, The Hollywood Reporter, Forbes, Glamour, MediaWeek, Huffington Post, Kidscreen, and Wired Magazine. Di Nonno serves as the Chair of the Board of Directors for the Television Academy Foundation; Board of Directors Promundo U.S.; Board of Directors, Friends of the Erben Orgen. Di Nonno served as President of the Glass Lions Jury for Cannes Lions 2016.